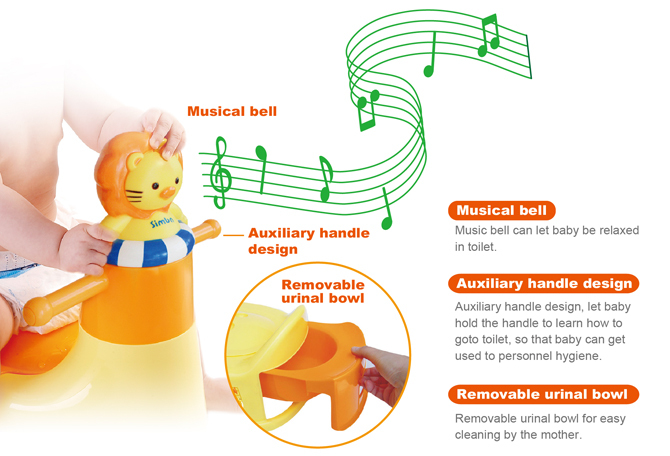 1.Music bell eases baby's tension when toileting. 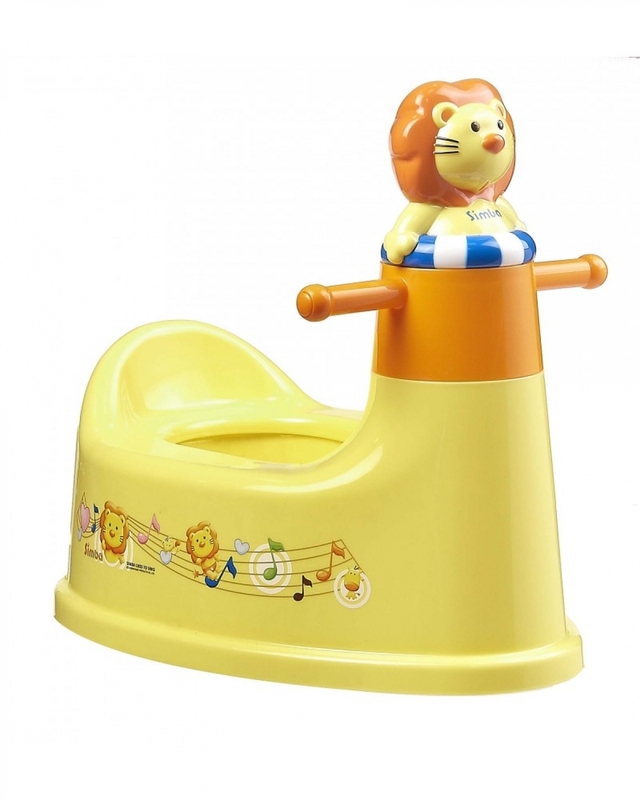 2.Auxiliary handles design, lfacilitate the process when baby is toileting. 3.Removable urinal bowl for easy cleaning.